Its been eight months since Jason, Piper, and Leo started the journey of the Seven and saved Hera while putting Gaia to sleep. Now, there is only fourteen days until Gaia rises in Greece to destroy the gods. 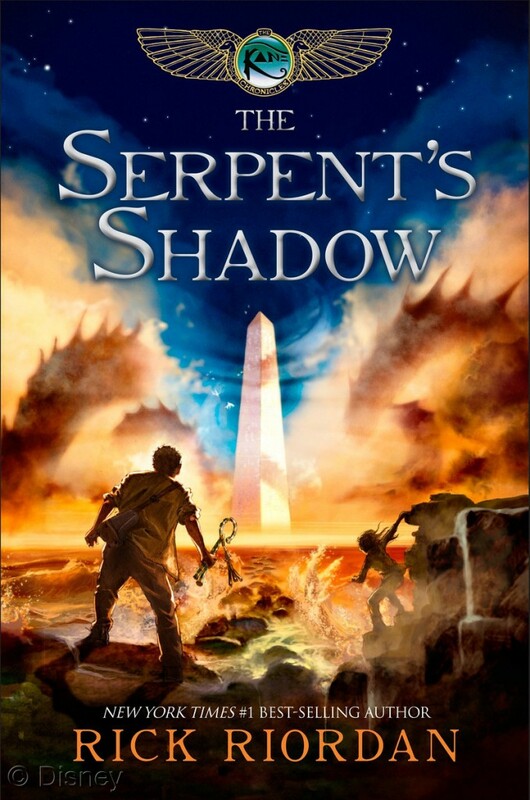 With time running out, the Seven most powerful demigods of the age must journey from the House of Hades to Athens, around the dangerous Peloponnesian Peninsula, ad confront the giants, bane of the gods, and stop Gaia from rising. Meanwhile, Nico di'Angelo, Reyna, and Coach Hedge are taking the Athena Parthenos to Camp Half Blood. But a deadly hunter is after them, and to fail to return the statue to Long Island would mean a destruction of both camps. As the Feast of Spes draws ever nearer, Greeks and Romans must unite to face down the Earth Mother, Gaia, and save the world, as well as the gods, from utter destruction. As much as it pains everyone to admit it, Jason Grace was the protagonist of this series. It was not Percy under any circumstance. Jason was the first POV of the series. He was in book one, not Percy. And in the end, he had the POV in this book, which Percy did not. Jason killed or helped kill five giants in this series: Enceladus, Otis, Ephialtes, Polybotes, and Porphyrion. Comparatively, Percy kills three: Otis, Ephilates, and Polybotes. This, coupled with the fact that it was Jason who was present in the final destruction of Gaia proves that Jason is the protagonist of this series. 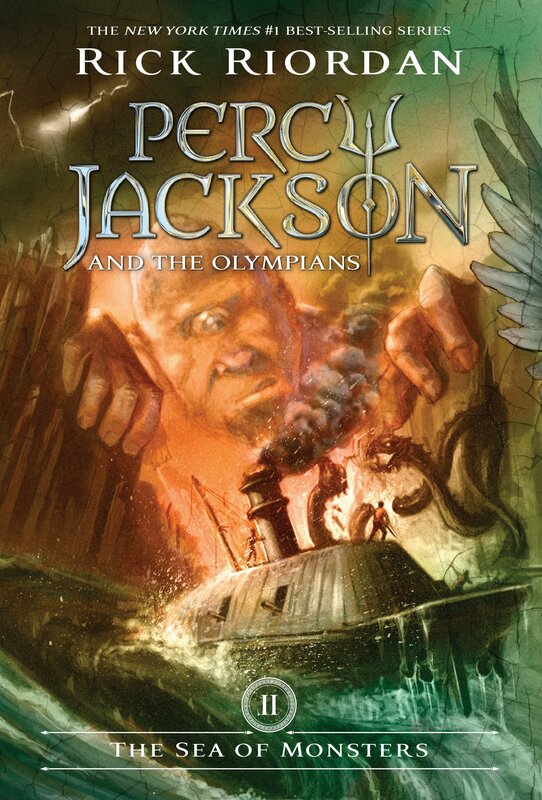 I know everyone want's to believe that Percy Jackson was the protagonist but he wasn't. Jason was given to us first. Percy had less to do with the overall destruction of Gaia and he did nothing that would have completely destroyed the quest had he not done it. Sure he was handy in a fight and was plenty helpful throughout, he was not godly important. Jason was. This was a peculiar book in that Percy, Annabeth, Hazel, and Frank all lacked POV's. That means that we only heard from three of the seven, the original three, demigods. 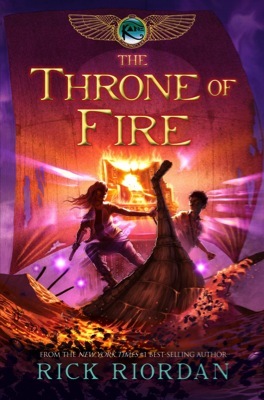 While none of these four proved to be absolutely important, I think that they still deserved POV's, considering that this was the last book of the series, and possibly the final book in the Camp Half-Blood saga. Percy should have a POV during the battle with Polybotes. Annabeth should have narrated during the battle with Mimas, even though that proved to be an important scene for Piper. Hazel could have narrated during the battle with Nike, and Frank could or should have had a chapter or two during the battle at CHB. That wouldn't have been hard. Meanwhile, Reyna and Nico DO have point views...which I don't think that necessarily needed. On that note, lets discuss Reyna and her POV. I was NOT excited that she was going to narrate when Rick released that information over twitter. This being the final book of a series, I did not want major supporting characters to take away time from the Seven Demigods of Prophecy. And I proved myself right. Nothing Reyna did until the very final battle with Orion was important enough for her to deserve a POV. Sure, she did important, Olympus saving, things, but she did not need to narrate them. Nico is a different story. He is very important to this story. He grows a lot and becomes the demigod we have always wanted him to be. But I still don't think he deserved a POV either. Riordan could have told his story through dreams or stuff, like before, and he doesn't prove to be truly important until the battle again Camp Jupiter. Now, I'm not saying that Reyna and Nico were unimportant, because they did as much as anyone to save Olympus from Gaia; I just don't think they deserved their own POV chapters, when Rick could have given that time to some of the seven that he left out. Now, onto a topic that I care very much about. The problem of Piper. Everyone; EVERYONE comments about how Piper is useless. How they don't like her. How she's constantly complaining about her relationship with Jason. Blah, blah, blah. As of now; EVERYONE CAN FOREVER SHUT UP. Piper ultimately proved herself in this book. She plays the biggest role in this final story of anyone. 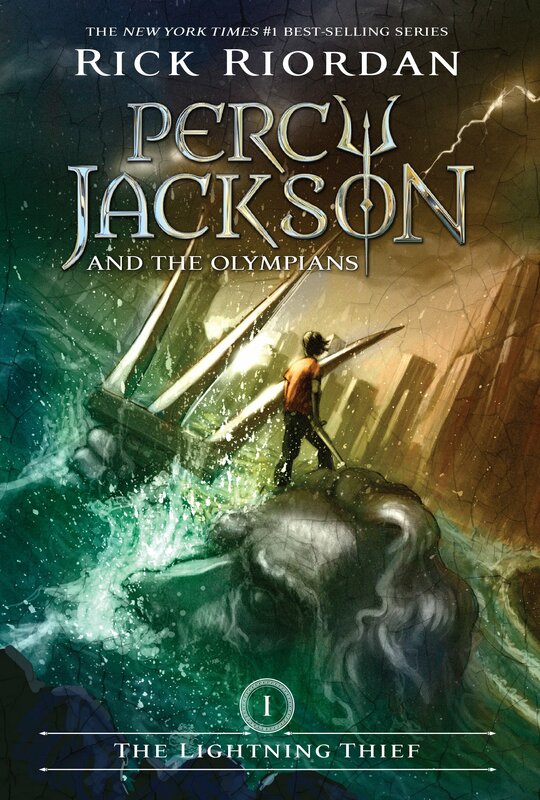 She takes on all of the giants at once to save Percy and Annabeth. 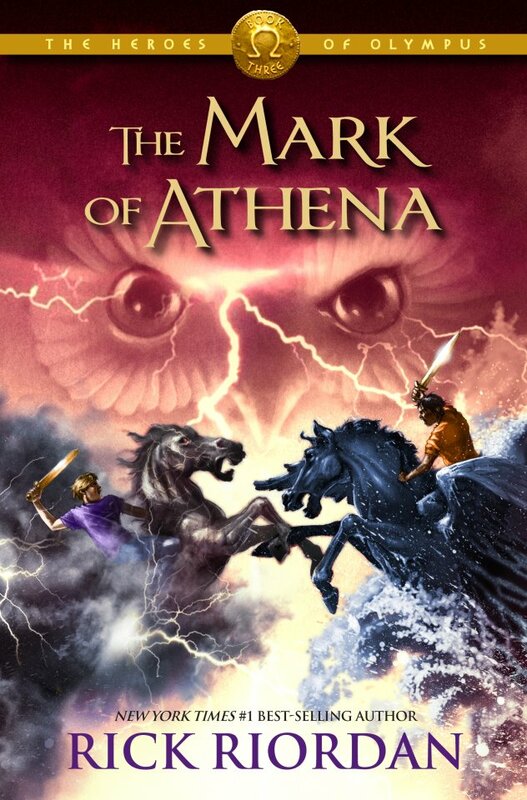 She saves Annabeth from shear fear underneath Sparta and tricks Mimas into death. And most importantly of all, she figures out the true meaning behind being a daughter of Aphrodite. Besides Silena, Piper is the only Aphrodite child to play any major role in one of the books. And Silena did not ultimately prove to be much. Much Piper is a different story. In this books she figures out the truth behind love and friendship and the power of Aphrodite. She uses charmspeak as a potent weapon. She learns her own abilities with a sword and weapon. And she figures out how to use emotions and love to survive even the worst situations. Piper shines brighter in this book than anyone else has in the entire series. SO. The next time you start to think that Piper was useless or unimportant or something else; remember: of all the characters in the series, she is the single most important of them all. She may not have battled anything and everything, but, had she not existed or not participated in this quest, every single one of the characters would have died somewhere. Every one of the seven own her their lives at least once. Some of them multiple times (*cough*Jason and Leo*cough*). I don't usually do anything with quotes but I found two very good quotes in this book: one funny and one thought-provoking. And the serious one: "No. 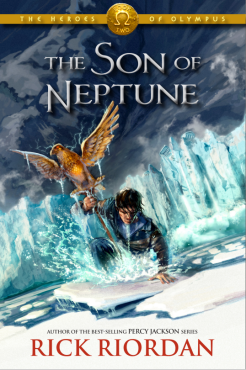 If he [Jason Grace] had to die, he would die a son of Jupiter, a child of the gods- "the blood of Olympus.". I LOVE this quote. Jason has struggled with his Greek and Roman sides ever since The Mark of Athena. And this illustrates his ultimate choice. He wants to be neither. He simply ones to live as a child of the gods -- the Blood of Olympus. This shows that both sides have their good qualities and there bad ones. But that, ultimately, the choosing of one over another is impossible. He is not Greek or Roman, he is the best of both eras. He will not confine himself to one of the paths, but allow himself to live in both. This is something that comes up late in the books, when he formally decides to go back and forth between the two camps. I think that all demigods should have this outlook on the Olympians and the cultures of these two great civilizations. In the end, they are not Greek or Roman, they are both, the children of OLympus, the blood of gods. First stop, Ithaca. Home of Odysseus. I originally did not believe that this would be prove to be an important set of chapters but they turn out to be very important indeed. The first important thing is Michael Varus. Most importantly, the fact that he is there. For those of you who don't remember, Michael Varus was the Camp Jupiter praetor that lost the fifth cohort's eagle standard in Alaska. Now, he is busy helping Gaia. And keeping a look out for Jason. He succeeds in that part at least. Especially considering he gets to stab him with some imperial gold. Unfortunately, his words "die a roman" don't prove to be any type of foreshadowing or have any other significance. I was really hoping it would mean something like, Jason would die in the end of the book for the good of Rome. That was not the case. We get to meet Jason's mother here. And I can see why Thalia left her after Jason disappeared. She was only "alive" for one chapter in the whole series and I found conceded and annoying in that short time period. Plus, she wasn't even a real spirit. I can only imagine what she would have been like alive. As to the actual importance of this mission; its very important. The crew of the Argo II had been debating about going through the Straits of Corinth or around the Peloponnesian Peninsula to get to Athens. Thankfully, the ghosts reveal that the way through the Straits was a dangerous trap. I guess that kind of narrows down the options doesn't it. Unfortunately, the same ghosts claim that the long way around I just as dangerous. But that's what this series is all about. Being able to pull off survival in the most dangerous of situations. And it was good thing that this information was important, because Jason ends up getting stabbed for it. Speaking of him getting stabbed, WHY DID THAT WOUND NOT KILL HIM??? It sounded like it was a full piercing of the abdomen, WHICH IS A MORTAL WOUND. I don't know how he didn't die in the next couple of days. Or how he manages to fight Polybotes with that wound. There was also that important warning about Nico and Reyna and the Athena Parthenos. The one stating that a Hunter was after them. I expected some converted demigods or some master monster to be undertaking that mission. I was not expecting the giants Orion to do so. First off, I was unware that Orion was a) Greek and b) a giant. So there was my learning for the book. I always learn something from each book, and Orion was it for this one. Plus, this is great foreshadowing on Riordan's part because now we kind of want to see what's going on with Nico and Reyna. Which is the next set of chapters. Next, Victory runs rampant through Olympia. And by victory, we're talking Nike. The goddess of victory. Patron of the Olympics. Founder of Nike shoes. Bane of Adidas (not really!! But Adidas would make a good giant).The main things about this portion is Hazel and Leo. Hazel gets use some of that mist magic she learned last book. And Leo gets to use some Archimedes knowledge and sphere building. And lets talk about Nike's outlook on victory. The one that says that it has to be difficult and failure means defeat. That is great way to think about victory. If it wasn't hard it was a victory. If failure to be victorious mean utter defeat than to win would qualify a victory. If it wasn't difficult than the meaning of victory becomes diluted and means nothing. Hazel first. When we last left off, Hazel had just figured out the full secret of the mist. Now, she seems completely competent at using it. I'm not sure what practice she did, but it paid off big time, because we would have three dead demigods otherwise. I am disappointed to say that Hazel's mist powers do not come in handy much throughout the rest of the book. The only other time it is used, it doesn't work perfectly, and ends up getting Annabeth and Percy captured by the giants. And now Leo. Leo's not one for master plans, but this one worked pretty well. So did the one later in the book. But we'll focus on this one for now. He deicdes to make some exploding spheres and god catching ropes to trap and bind Nike. Thanks to some Hephaestus genes, the ropes actually work and the seven now have the goddess of victory confined to their ship . That better count for something against Gaia. They have victory on their side. Oh yeah. And the foreshadowing. The Poison of Pylos. The Chained Gods Heart Beat in Sparta. The Curse of Delos. The Physicans Cure. Nike pretty much sets up the book right here. Find these things and you can bring people back from the dead. Plus she vows that one of the four in the group of Percy, Leo, Frank, and Hazel will die. Which means we now have the answer to "to storm or fire the world must fall". Leo is destined to die by the prophecy. With Nike now imprisoned, the story turns to locating the ingredients of the Physicians Cure: the poison of Pylos, the chained God's heart beat in Sparta, and the curse of Delos. Step one: the poison of Pylos. This was the easiest of the three ingredients to procure and it was done so by Frank and Piper. First off, that's kind of an odd duo. Frank made sense since his ancestor, Periclymenus supposedly came of Pylos, but Piper with him was kind of odd. It worked well, but I would have expected Hazel or Annabeth to have gone with him. Not Piper. But the main point here is the descendants of Periclymenus. They didn't seem surprised at Frank's arrival. Nor did they seem pleased by it. I think its simply that there was nothing to talk to Frank about. He already knew how to use his legacy power so I don't know what exactly Frank was hoping they would tell him. He seemed dissapointed though. He just needs to get over it. Its like Jason and Hercules, ancestors are not always the things you want them to be. Step two: the chained gods heart beat in Sparta. This is the first time where we actually here Annabeth's perspective on Tartarus. And its not at all what I expected. I figured that she would say it was horrible and terrifying and not recommend the experience to anyone, but I didn't expect a complete mental/emotional breakdown over it. Sure, it was probably the worst experience she will ever have in her life, but, considering her personality, I assumed she would get over it. And as to why Percy controlling poison was so horrible...I have no idea at all. He saved both of their lives with that move, and she acts like he was being cruel and terrible TO THE GODDESS OF MISERY. Get a grip Annabeth. PERSPECTIVE. Had he not done that of you both would be dead, Gaia would win, and CHB would have fallen. Some things have to be done for the greater good. In this case, poison control was one of them. Now, I would like to consider what Aphrodite showed Piper. Because we don't ever actually find out. I believe she showed her the final battle with Gaia (or at least part of it,), and told her what she would have to do. I don't quite understand the "...you will only have the power for one word. It must be the right word, or you will lose everything.." quote, because I don't remeber any "I must say this word or everything is finished" in the final battle scene. We get a pretty awesome "battle" here. 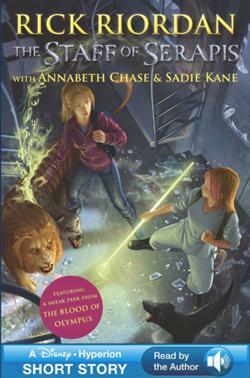 Annabeth and Piper take on Mimas, the bane of Hephaestus, in a temple devoted to Ares, Phobos, and Deimos. 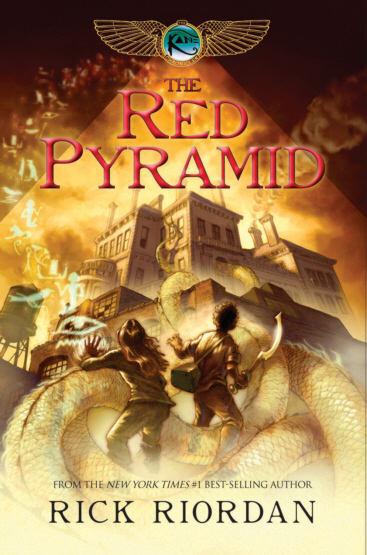 I would like to say that this is one of the best pre-climatic fights I have ever read in one of Riordan's books. Of course, it pales in comparison to the climaxes of this books, but it was still pretty awesome. As to Mimas, he shot some pretty cruel statements at the two girls. He makes fun of Annabeth being led by Piper, claiming that he had never expected to see a daughter of Aphrodite leading a daughter of Athena against. He's right of course, but that a pretty cruel statement, even for a giant. And just to make it worse, he asks Piper if she will defeat him with fashion and makeup tips. While hilarious, that's pretty much the worst comment he could have made. While Piper is a daughter of Aphrodite she is just as dangerous at anyone else on the Argo II. And the fact that Piper fails to care about that statement shows how much that fight with Khione changed her. She is more confident and fells needed at this point. She knows her own abilities and how they apply to the success of the quest. While fighting and battle may not be her forte, she understands that their other things that re needed in the quest besides battle skillls. Now we get to some GREAT Piper quotes: she makes the comparison between fear and hate, and love; stating that they are all nearly identical emotions, because they can't be reasoned with. She tells Annabeth that fear can't be reasoned with and that's the reason why she is having problems with the Temple. She can't deal with the fact that the problem is emotional and can't be solved logically. Piper tells her that to beat the temple you have to embrace fear. That an amazing amount of synthesis from Piper in the middle of running from a giant who wants to kill the two of them. And finally, that bronze statue. The one that contains the makhai. I didn't quite understand the sacrificing of the cornucopia thing (why do the spirits of battle want a horn that spews food and drink), but I was kind of getting sick of Piper using flying foods as weapons. That was a bit irritating. As to what the makhai actually DO...I'm not sure. I hopes that they would reappear later in the book. But they don't really. Only briefly one more time. Step 2.5: avoid being killed by Kymopoleia. I was completely unaware that this minor-god even existed. And this can attest to Riordan's expert research behind his books. When he starts pulling gods and goddesses that no one has ever heard of, it shows how much thought is put into these books. There not just stories, they could be used to take legitimate tests on Greek and Roman mythology. As to Jason's promise, I feel like Riordan is just having him to do it to fit the hero mold. Percy made the same promise, to give all of the gods recognition, last summer; and now Jason, protragonist of this series, makes the exact same promise. I feel like this is one of the few times in which Riordan actually ran out of something better for his charcaters to do. And so he just resorts to using an old hero-type act. Now onto the battle with Polybotes. I am honestly saddened that Polybotes did not show in the final battle because I would have enjoyed seeing a Percy + Poseidon/Neptune duo fighting this giant. As to how Jason kills him in WATER...I'm not fully sure. You would think that it would take some pretty intense sea power to defeat the bane of Poseidon. Especially when he is IN THE WATER. But this is just one case in which a giant has been killed by a non-related demigod. Jason killed Enceladus. Frank dealt Alcyoneus his death blow. Otis and Ephilates were taken down by Jason and Percy. Mimas was "killed" by Piper and Annabeth, even though no god was present. I guess its kind of a running theme in the story. The final epic showdowns we've all been waiting for won't happen because the giant related to the character was killed by another character. Riordan's mind works like that. Concerning Percy and poison...WHAT WAS HE THINKING?!?!? Its just poison and your in the ocean. DISPERSE THE DAMN FLUID!!! You controlled the maker of poisons in Tartaus far away from the ocean. Why can't you disperse some minor poisons from around you while your literally inside the palace of Poseidon beneath the ocean. This was not one Riordan's better scenes or well thought plans. I personally kind of found this whol set of chapters un important, minus Jason healing himself, and Polybotes dieing. After that we get a very CONVENIENT loss of three days due to "repairs". I call this convenient because it just so happens to coincide with the three days that Nico sleeps after turning Bryce Lawrence into a ghost. By this point, I was wondering what was going to fill the remaining days up until G-Day. Apparently, NOTHING went down. And concerning Leo's plan. I didn't really have much of an idea. I knew he was planning to sacrifice himself because he had come to the same conclusion that I had during the conversation with Nike: either storm or fire was destined to die by the prophecy and only fire was present during Nike prophecized sentence. Leo was going to die. Now, the question was how?? I wasn't really sure, but I knew would be dramatic. And boy was it dramatic. Instead, Leo fixes the boat and the goes ahead to scam Apollo. Speaking of Apollo, he is the easiest God of all to completely scam. Hermes did it with the lyre. Leo does it with a Valdezinator machine. And Octavian does it by offering to make Apollo the greatest god of the Roman Legion. He's pretty easy to scam. And I consider the Valdezinator to be the grandest scam of all. What god actually believes that a son of Hephaestus made a musical instrument that plays music based on "FEELINGS"!?!? 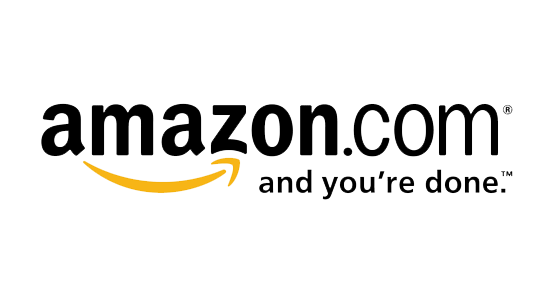 That the biggest scam ever if I've heard one. I think Leo made it unintentionally to play Caleo's song. I don't think it can sense feelings. And Apollo should have had the same thoughts. Not make some dumb trade for it and then find out that it doesn't work. And while Leo talks to Apollo, we get out biggest hint at a possible new CHB themed series. According to Apollo, Gaia awoke the monster Python, the original protector of the spirit of the Oracle. The same one that Apollo slayed in the ancient myths. It supposedly now inhabits the catacombs of Delphi, trapping the oracle and stopping the gift of Prophecy from being used. This problem was alluded to by Octavian in a dream, as well as by Rachel in a similar dream. As far as I know, this problem is left unaddressed at the end of the book and would make a decent third series. But that is all speculation. And now the Curse of Delos. Unfortunately, it was not a real curse. IT WAS A FREAKING FLOWER!!! BOOOOO!!! Come on Riordan, we wanted a dangerous curse sent from Gaia or the gods, not a flower that would be used to resurrect Leo at the end of the book. I have to admit that I was very disappointed in this curse. I had expected more. I know it comes in handy later, but I would have preferred Leo to die and stay dead. Not magically resurrect due to unknown causes. So now that they have all of the ingredients for the Physicians Cure, the seven must find Asclepius; god of healers to actually get the potion. And boy was this an adventure. It starts with a waiting room of death: complete with acid dumping statue and mechanical snake. Thanks gods for IDIOT MODE. Yah, so apparently Leo also knows how to program because he figured out to make a new difficulty level on a Nintendo machine. Unfortunately, I don't think that the same principles would have worked in this case. Leo didn't really have any idea what he was doing and could have very easily created "I WILL DESTROY EVERYTHING AND EVEYRONE" mode, and gotten himself, Jason, and Piper killed. Plus, wiring a machine does not change the way it functions. Programs do that. Now onto Asclepius. Why did Jason need glasses?? I had heard people saying that Jason was wearing glasses on the cover, but I was never really able to tell...up until I read the story. Now...why did Jason need glasses?? I would love to ask Riordan that. They were never mentioned again, not even by the other demigods, and they don't play a role in the climax battles. So I don't understand their purpose. Its not like they shoot death rays. Or do they?? As to Leo, I think Asclepius could sense his coming death and knew that he had decided upon it himself. That's it. Nothing special. Now we finally get this Physicians Cure thing. Its just a little vial of potion. It kind of reminded me of the vials that Harry and Dumbledore use to collect memories in the Harry Potter series. Just something small filled with a magical cure to death. That it. Nothing special. And now we get to the epic climax that we have all been waiting for. The Battle with the Giants. The Rise of Gaia. The Blood of Olympus. Yah. So why was Athens founded by snake people? Isn't that kind of weird. That a full city, later to be ruled by humans, was founded by demonic snake people. Snake People that claim to be patrons of Athena. I thought it was kind of weird. And like all monsters, it had to be in league with the giants and ready to destroy the demigods at the first chance possible. It was a pretty good plan from Gaia and the giants point of view; send out the first ruler of Athens as a friend to trick them into following them to their death. But thankfully, the demigods have Piper. Charmspeak extraordinaire. Above any other time, this was Piper at her very best. Using Charmspeak not only to stop people from killing the, but using to allow the Heroes of Olympus a real chance at getting through to the giants. See...this is what I'm talking about when I say Piper is important. Everyone else would have died if not for her. So after the big reveal of the betrayal plot, we get pretty much the only Percabeth scene of the whole book. Underneath the Acropolis, they find the original spring of Athens. The one that started the eternal Posiedon v Athena feud. And that's the only Percabeth scene we get in this book. If you really want all of the details to analyze, you can read the book, because I didn't find this scene terribly important. We all knew it was coming. And then, we get to the actual battle. Speaking of the battle, why was it a good idea at all to send three demigods in to fight the giant alone? I know there weren't too many options, considering the onagers that Piper had to disable, but shouldn't they have probably at least considered some more options. And if Percy and Annabeth would have been nearly invisible because of their lineage, couldn't they have sent in like Frank and Hazel or Jason as well? Wouldn't that have been a better plan. I think so. Hazel gets to use some of that mist magic she's been learning right about now. Unfortunately, it doesn't work quite as well as everyone has hoped. She turns Piper, Percy, and Annabeth into Earthborn, for infiltration purposes, which was actually pretty cool, but Percy and Annabeth end up getting singled out for sacrifice. HOW DO THEY GET SINGLED OUT??? I though that the spring was supposed to conceal the two of them so that they would be hard to distinguish. I thought they were safe. Obviously the giants had other ideas. It so appears that Enceladus was expecting the two of them to lead the attack (that seemed kind of odd) and had alerted everyone to be on the lookout for them. But still, of all the earthborn, how were they singled out? And how was Piper not? I know she is less powerful (from a godly point of view) but shouldn't they have all been expecting more than just the two of them to come for an attack? I don't know. 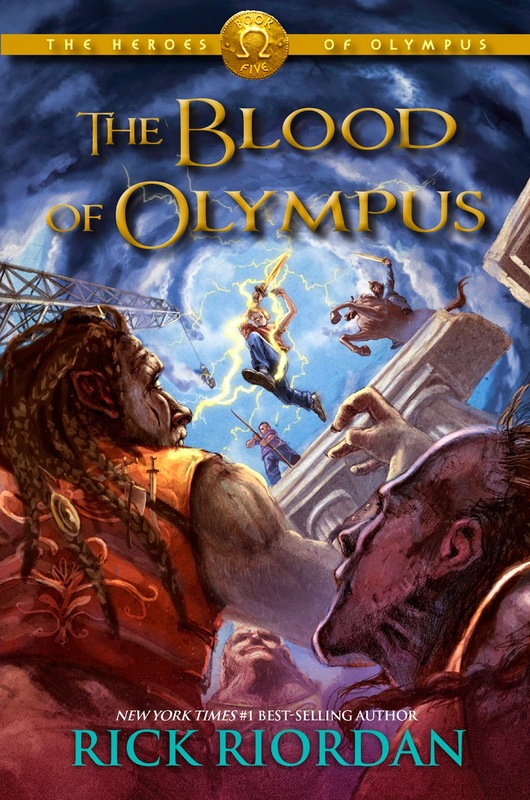 Speaking of Percy and Annabeth, I found the whole 'The Blood of Olympus' thing kind of disappointing. There was no big sacrifice and near mortal blood loss; just Percy's bleeding face and a minor cut on Annabeth's leg. And that's all it took to raise Gaia?? Come on Riordan. You could have done better than that. That was the most anticlimactic thing ever in one of Riordan's book. And then Piper goes super child of Aphrodite mode. She decides to take on all of the giants at once with only a knife and a sword while simultaneously trying to free Percy and Annabeth from the slaughter that is about to take place. It was pretty much one of the more epic single-person combat scenes in the series, ranking up there with Frank in HOH, and Jason in TLH. And since it was Piper that did this battle, that made it all the more epic. Because no one expected Piper to do anything like this fight. Should it have been Percy or Jason or Frank it wouldn't have been as awesome, but Piper made it great. That and Percy's epic 'semi-defeat' of Porphyrion. He was like "let's just grab a giant spear and use it to cause the King of Giants to do a pole vault". Yah. That was a good idea. It ended up waking Gaia. So, with Piper having maxed out her abilities, Annabeth dripping blood from her leg, and Percy in a state of semi consciousness, the rest of the seven attack. And this is where the cover comes into play. Unlike the rest of the books, where the covers are composite scenes, this ones cover is a legitimate moment written in the book (the last paragraph of Chapter 43). And that makes me actually like the cover a little bit more. Knowing that it was one individual scene makes me realize why the cover was done the way it was done. John Rocco wasn't trying to make a cover that would symbolize the entire book, but was instead capturing a single climactic moment of the story. The moment when the seven reach their destinies. The moment when the giants are attacked. The moment when all Hades breaks lose. But even the Seven are not enough to defeat the giants. 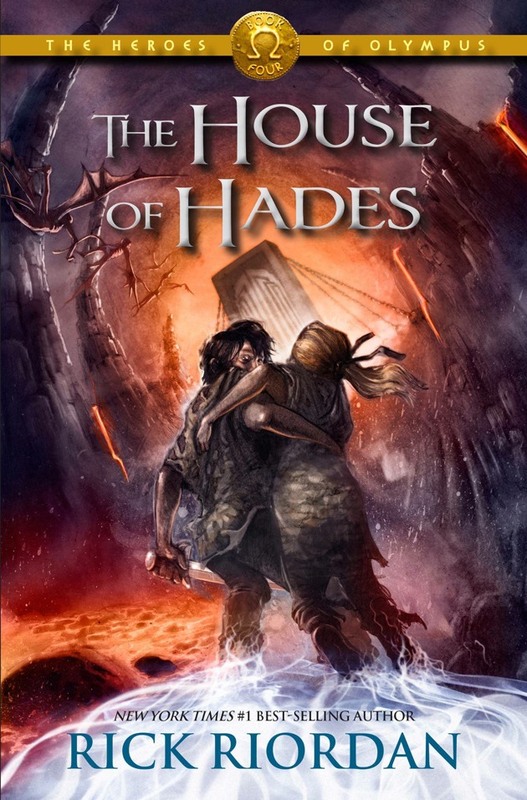 No matter how strong they are, the demigods can not destroy the giants without the helps of the Gods. But the Gods are incapacitated. And even the most powerful demigods of the era can not stand against the giants indefinitely. Eventually they will fall. And if they do, Gaia will destroy everything. And it almost came to that. The Seven had been backed into a defensive ring with who knows how many giants surrounding them. There was no hope of escape. No hope of victory. No hope of survival. And then the gods arrived. The gods, in all of their glory come down from Olympus for one epic battle. 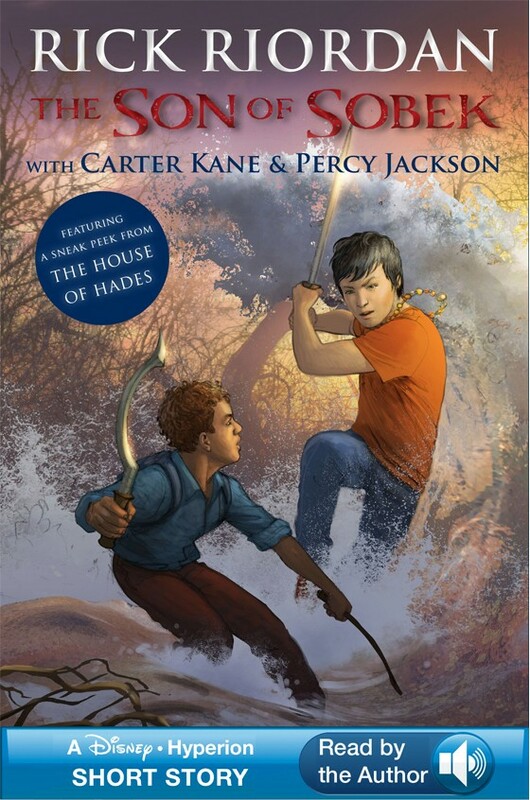 This is the first and only time that we ever see the gods go to war alongside demigods in any of Riordan's ten Greek/Roman books. And it was AWESOME. Annabeth and Athena attack Enceladus. Percy and Posiedon take on Ephialtes and Otis. Piper duels with a giant. Hazel and Hecate deal with whatever other giants are around. And Jason and Zeus duel with the King of Giants. The Bane of Olympus. Porphyrion. And boy is that a fun battle. Zeus destroys the throne of the Athens. Porphyrion is forced out of the Acropolis. And Zeus as well as Jason push him off a cliff and zap him into nothingness. What's funny about this, is that Zeus is under the impression that Prophyrion is, once and for all, destroyed. Blasted so thin that he will never be able to reform. But wouldn't imprisoning the giants have been a better idea. Killing them sends them back to Tartarus for thousands of years, but the will rise again one day. They are destined too. So if the gods imprisoned them, they could stop that. They could make prisons underwater or something. Or make prisons inside of Tartarus. They could keep them alive and they would never pose a threat to the gods again. Or so we think. But what's going to happen to Apollo. I for one, think that Apollo is going to get yelled at for allowing Python to rise at Delphi and not do anything about it. Its not like Zeus can prove that he influenced the rise of Gaia by revealing the Prophecy of Seven as soon as Percy fulfilled the first Great Prophecy. I hope that my thoughts are correct, because that means that another CHB/CJ book could be in the works. Oh yeah. And how can Zeus SLAP a ship across the Atlantic ocean? How is that even possible? I know he has the wind gods at his disposal and is the king of the gods, but how? This sounded to me like a cop out by Riordan to get the Seven back to New York in a relatively easy manor. 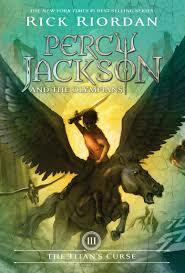 Now onto the other part of the story...Nico and Reyna returning the Athena Parthenos to Camp Half-Blood. First, WHAT THE HADES HAPPENED IN ALBANIA?!?!?! Some event is referenced multiple times by Nico and Reyna but is left undiscussed. They claims that "what happened in Albania, stays in Albania". I don't understand why Rick Riordan decided to include this little detail if was unimportant because Riordan never puts things in his books that aren't important. Everything little thing is important. ALWAYS. If nothing else, this gives some credibility to the possibility of a third CHB series. Yah. So Reyna can apparently transfer power to people and groups. WOULDN'T THAT HAVE BEEN HELPFUL TO KNOW EARLIER!!! Like when a certain five demigods were fighting their way through the Necromanteion. And when a certain three people decide to attack and destroy Gaia at the end of the story. Wouldn't some power have been helpful there? So. First stop, Pompeii. A land of ghosts. And this raises the question of whether or not the Athena Parthenos works as a ghost deflector shield. Because it apparently kept the ghosts of Pompeii away while Nico was passed out. I guess the immense GREEK power it emanates, keeps the ROMAN ghosts away. I GUESS that's how it works. I don't know if that true because ghosts don't play a huge role in the books after this. Now lets discuss Reyna's dreams. Obviously the first one was a prophetic dream from Gaia showing her destroying New Rome. That much was obvious. As to the "Hunter" I remained unsure at thus point. The second one was more confusing. Apparently, Octavian is planning to destroy CHB on August 1 and has elected himself the pontifex maximus, high priest of the gods. Plus he's recruiting traitorous and dangerous demigods from around the country. And he's apparently having some problems with his oracle powers. The oracle issue is more concerning than anything because it continues on throughout the book, affecting Octavian, Rachel, and even Apollo. Something is definitely wrong. And lets not forget the Scepter of Diocletian. The one that explodes. That was really bad timing for the scepter to quit working and die. Right when a hoard of earth-cloaked ghosts decide to attack. 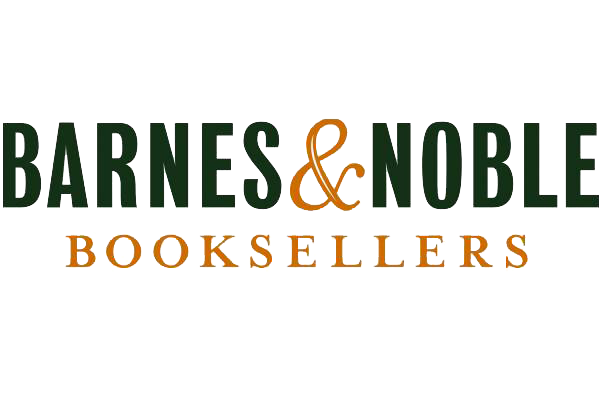 But then again, Riordan's books are centered around bad timing. Next stop: Portugal. The Temple of Bones was a fun place. And for the record, the Temple of Bones is a real place in Evora, Portugal. It is legitimately made of human skulls and was built during the counter-reformation of the mid-1500s. And Nico gets to meet Hades. Its never a good thing when gods appear to you. Thankfully though, Hades was actually kind of helpful. We learn who, "the Hunter" is. Its Orion. As I previously said, I never knew that Orion was greek, but ol'well. We also get complete confirmation that one of the seven have to die. And that Hazel would try to stop it. Hazel's always trying to do things like this, and this further legitimizes my claim that Nike's prophecy is referencing LEO'S death. If it was Jason than Hazel wouldn't care as much, but she legitimately cares about Leo and will try and stop him from doing anything obscenely dangerous or suicidal (like trying to find Ogygia again). Plus, Hades makes a good comments claiming that some deaths should not be stopped. Essentially saying that some people deserve death rather than anything else. This becomes very important at the end of book with Octavian. And then we get Lycaon. Lycaon appeared in the Lost Hero on Pike's Peak for s hort amount of time, as he does here. Now, I don't really understand what was so weird about Nico's plan. He just killed Lycaon and used his shadow to shadow travel. What was weird about that. Nothing as far I'm concerned. Next stop: San Juan, Puerto Rico. Of all the places they could have landed, it had to be San Juan. The one place that Reyna would have preferred to stay away from. She apparently had some issue with her father about six years prior here and ends up killing him and flees to Circe's island. Now she's pretty much running from that event and from San Juan. Now, this series is built on odd groupings of people helping each other. Greeks and Romans. Gods and demigods. Icthyocentaurs and demigods. And Hunters and Amazons. The two groups of eternal maidens that enjoy killing things. I honestly wouldn't have predicted that the two of them would have gotten along. But they apparently do just fine. Now, concerning Orion, is he like a "Bane of the Gods" giant, or is he a diminished giant? In other words, can he be killed by a demigod by themselves, or is a god still required. From what's presented in this book, I believe that he a real Bane of Olympus giant and thus a god is required. When he is finally killed, it takes Reyna and TWO gods to take him down. Can the hunters and amazon hold him off for long? Probably not. I give them a couple of hours at maximum. After that, Orion will get in some lucky shots or slink away to track Reyna and the Athena Parthenos again. Stop number 4: South Carolina. This was a fun little adventure . I don't get Reyna's big secret. So she killed the insane ghost of her father. Technically the mania was not her father and thus she not LITERALLY commit patricide. Of course, Octavian would not have seen it that way, he would have had her killed for just about any reason, and this was a more legitimate reason most of the other ones he probably would have come up with. But I don't get why Reyna made this out to be such a large scale ordeal. Speaking of Octavian...he picked out a nice person to find Reyna. Bryce Lawrence. The same person who decided it was good idea to set some animals on fire and kill his centurion in war games. That person. He is definitely the son of Orcus (who I also had never heard of). And that group of dead Greek Demigods was helpful. I don't know why they were dedicated to Orcus and not Hades, but had they been controllable by Nico, we wouldn't get some fun explosions out of Nico. Speaking of explosions; what did Nico ACTUALLY do??? He supposedly turned Bryce Lawrence into a ghost and then dispelled the ghost; but how is that possible?? I know he's a child of Hades and he has power over ghosts, but how do you literally turn someone INTO A GHOST?!?! We will probably never find this out because a) Nico is lucky he survived the power this time; and b) I don't know when else it would come in handy. Monsters don't have a ghostly form, so he can't use it on them. Also concerning this power, what did it actually do to Nico?? He was already close to death after so much shadow traveling, but why did the power turn him into a partial ghost and then send him into a hibernative sleep? My best guess is that the power is an overextension of his godly given powers and it used up a bunch of godly life and power. Like if Percy tried to part the Atlantic Ocean. Or if Jason tried to make a full fledged hurricane. Or if Hazel tried to raise the entire Labyrinth at once. Something like that. But I think that Reyna and Hedge made a mistake in wasting three days waiting for him. Those three days could have cost the world everything. It was way too risky to try and wait. I know that they didn't really have any way of transporting the statue, but just sitting there gave Orion time to catch up, Octavain time to get more reinforcements and those big siege machine things, and it gave Gaia time to find them. She could have sent who knows what after them. Or just have easily swallowed up the Athena Parthenos herself (Why did she not do this????). Of course, when they really do get to move the statue again they a supremely royal treatment. 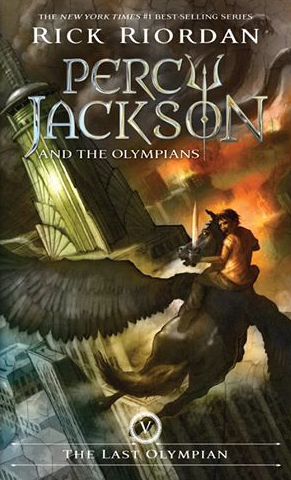 Of all the gods and creatures that Riordan could have used, I least expected Pegasus, THE PEGASUS, to make an appearance in this book. Pegasus is always given such a reverence in mythology that I expected Riordan to keep that purity there and to leave him out of it. That didn't quite go as planned. Instead, he drops the two demigods, satyr, and giant statue in Long Island Sound after Reyna and Nico discover that Octavian as a fleet of Onagers trained on CHB. And the dropping in Long Island Sound lead to a meeting that I'm sure Reyna would have rather not had. Speaking of this conversation, did Reyna really forfeit her role as praetor when she left for the Ancient Lands?? Not really. According to her, she had be voted out by a senate. Which didn't happen. And, as Bryce Lawrence said, in times of war, rules have to be bent. That applies to Reyna as well. When Gaia is rising, an ancient rule forbidding travel to the Mare Nostrum isn't really that important. But power hungry Octavian didn't see it that way of course. We also get the idea that the Twelfth Legion does not follow Octavian as much he thinks that do. According to Dakota and the other Centurion, they could lead their own cohorts against the legion and Octavian if needed. At least the Roman Centurions and men at arms recognize what they are actually about to do and are only following Octavian because there is no one else to follow. Octavian is a different story all together. So with some hope of defeating Octavian and disabling the onagers, all is well. Not really. Orion is still alive. And he is not happy. Not at all. He shoots some bomb arrow, which I'm sure the Roman or Frank would have found handy at some point and decides to trap Reyna on a boat. Coward. He knows he can't defeat Reyna in a battle so he hold her hostage with a ticking arrow. Just like all monsters, take the easy way out. Unfortunately for him, Reyna is a true Hero of Olympus, and she will die to defeat Gaia. She throws a knife with immortal accuracy and falls on the freaking arrow. She of course, was hoping that the knife would kill Orion, claiming that Bellons was giving her power to fight her own battles. I for one don't think that Bellona was doing anything. I think that was some figment if Reyna's imagination. But it worked. Because upon falling on the bomb, Athena (a GREEK!!!) gifts her the aegis. A cloak as string as Nemean Lion fur. Plus she proclaims Reyna a true Hero of Olympus. And I believe that Reyna has earned that title. She has done as much as any of the seven to stop Gaia; keeping New Rome from war with CHB, traveling the Mare Nostrum after a receiving a letter from Annabeth FROM TARTARUS, bringing the Athena Parthenos back to CHB; she's done it all. And Athena rewards her for doing so. So, now with Athen'a blessing, Reyna does have help from the gods. And she uses it to defeat the giant Orion. For the record, this is the only time that a giant is killed without physical godly help (Zeus's lightning bolt counts at physical help), making Reyna almost more powerful than any of the seven. As to why she didn't want Orion's bow, I have no idea at all. I would have taken it. Its magic, so it probably would have shrunk down to her size. Plus, show knows what it could do. Frank might have found it useful when he returned to Camp Jupiter. So while Reyna is busy dealing with Orion, Nico is off trying to disable the onagers. And he does that with the help of Will Solace, son of Apollo. This is an odd pairing to say the least. Nico and Will have opposite personality types. I'm pretty sure Hades and Apollo aren't buds on Olympus. And yet, they make a good team. Except for when Will stops Nico from using his underworld powers. That when they don't get along so much. Speaking of that...what is wrong with Nico?? I think it still residual effects of his power overextension in South Carolina, and that he probably shouldn't be doing anything godly for a good long while. He was lucky he survived that one short shadow travel as it was. Another one to attack Octavian. Or a summoning of skeletons. That could have killed him. Now lets discuss Octavian. Because he is both smart and coward at the same time. His plan to use onagers to destroy CHB without costing any Roman lives was brilliant. He could have completed an entire war without any casualties. But its completely cowardly at the same time. Instead of being a man, he decides to hide behind the power of explosives and destroy CHB from far away rather than fighting them head on. But, as much as it pains me to say it, I think that the intelligence outweighs the cowardice in this situation. Please don't kill me, but if you were in the same situation, the prospect if waging war without taking any losses is pretty appealing. While its cowardly, it is strategically brilliant. But do the cohorts believe in Octavian. I don't think so. I think and hope that they have always wanted to follow Reyna, but in her absence, were forced into following Octavian's lead. And we can see this exemplified by their reluctance to attack Nico and Will even after Octavian's command. And while we are here talking about that scene, what does it say that Nico didn't kill Octavian right there. He even said that he could have. So why didn't he? I guess it turns out that his escapade in South Carolina scared him as much as it did Reyna and Hedge. He didn't want to have to kill anyone for any reason. 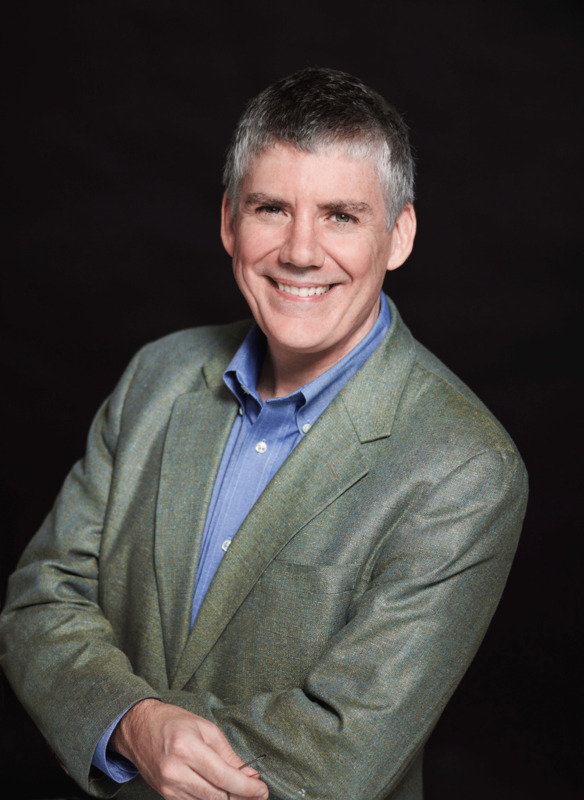 He had suffered so much death in his life that he didn't want to dish it out any more. He has come a long way from the character he was in The Battle of the Labyrinth. Then the true climax hit. The epic finale. The Battle against Gaia. So when Gaia rises, I like how she was described. Riordan make it sound as if her body is compilation of everywhere on earth; sand, forest, meadow, rock, trees, everything. And that is kind of how I thought she would look. I just wished that she had appeared on the cover, because I would have loved to see Rocco's rendition of her. He could have made her truly amazing. And then the Argo II implodes. And thus, Fetsus is reborn. I guess Leo has always been planning this because he sounded completely ready for it when Zeus made the comment of smacking the ship back to New York. The big question though, is how?? How do you rebuild a dragon inside of a ship. Where did everything fit? And just as importantly, WHY? What the purpose of rebuilding Festus? I don't think Leo had always been planning on taking Gaia up into the air and defeating her. He probably only formulated that plan in the last couple of days. So why was he building Festus before that? Its not like he could have activated the new Festus while on the quest, and there was no way for him to know if he would survive to actually see him reborn. SO I don't understand Leo's thinking right here. It worked. It was brilliant. But I don't understand why he was doing this project in the first place. So while Leo and Jason and Piper are dealing with Gaia in the sky, Greece and Rome have finally united and are wreaking havoc on the amassed armies of Octavian. They are unstoppable. As I have always thought, when Greece and Rome combine they will be an unbeatable adversary. And they are. The monsters stood no chance. The Greek were better individual fighters and could take on the monsters one-on-one. Meanwhile, the Romans can take out masses with their well-timed and well trained cohorts working in unison. They make the ultimate fighting force. And there is so much room for them to learn from each other. Romans could take one-on-one training from the Greeks. And Greece could take military training and drilling from Rome. And then nothing would be able to stand in their way. Now, we get onto the topic of Octavian. Did he deserve to die? Yes. Was his death fitting? Yes. Should Nico have done something? No. As Hades said, "not all deaths should be prevented". Octavian is an example. He would have destroyed everything should he have remained alive. Instead, he fulfills Apollo's prophecy and destroys Gaia, saving Rome, but kills himself at the same time. But Nico had a fun dilemma right here. Should he let Octavian die? Or try and save him? In the end, he makes the right decision and lets him kill himself. Plus, had he not, Gaia may have survived Leo's detonation blast. And the battle with the Gaia. The climax of everything. The greatest climax written by Riordan. What we have all been waiting for. 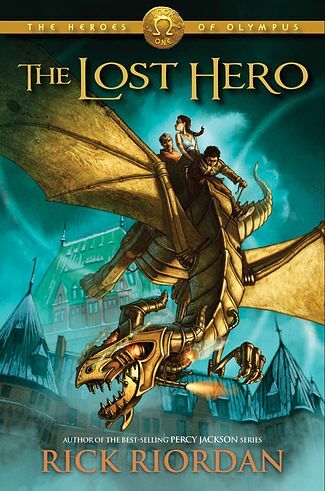 This series kept alluding to Percy's fatal flaw, loyalty, but a lot of people say that it never comes up. They are WRONG. It does come up. Just not majorly. In the end, Percy wants Frank to take everyone up to Festus so they can battle Gaia together. But Frank sees the truth. Jason, Piper, and Leo have to do this alone. And Percy can't help them. That was the decision. Percy had to stay behind and let his friends sacrifice their own safety for him. That's something he was never able to do. But he conquered it in that moment. Whether he could do it again, I don't know. But he conquerred it in this moment and that's all that matters. Did anyone else notice, that the series starts and ends with the same three demigods. Why am I not surprised?? Jason, Leo, and Piper have always been the most important to the quest as a whole. Leo built the ship. Jason is arguably the most powerful demigod on the quest. And Piper can charmspeak the seven's way out of almost anything. Meanwhile, Percy, Annabeth, Hazel, and Frank, while showing dashes of importance, only shine in short bursts. These three do throughout the books. And I thus find it fitting that they are the ones that battle Gaia in the finale. These books have never been about Percy and Annabeth, we met them in the first series; these books have been about Jason and Piper and Leo. They are new to us. But is you look closely, they are just like Percy, Annabeth, and Grover in the earliest PJO books. Percy and Jason have the powers. Annabeth and Piper have the plans. And Leo and Grover are there for support and comedic relief. They are the same groups. Just with different names. We now have two trios of half-blood friends, and each gets their own ultimate showdown with evil. While I would have loved to see Percy and Annabeth take down Gaia as well, I feel that Riordan made the right choice in letting the first three of the series do it alone. It is incredibly symbolic. Now we are going to have to drag the prophecy back into this. We all remember that line, to storm or fire the world must fall, well, I'm still not sure what the quote meant. Piper, in all essence, destroyed Gaia; putting her to sleep and allowing Leo to scatter her consciousness. But she isn't storm or fire. Leo has to be fire and he died; so does ...the world must fall... mean that Leo was destined to die. Or that he would defeat Gaia? I'm still not sure even after a third read. I think Rick left that one open to interpretation. Speaking of Leo's death, did he know what he was doing? He seemed too. He seemed very content with the fact that he would have to sacrifice himself to destroy Gaia and protect everyone. He let to great lengths to do so and in the end, he went through with his plan. But I don't feel he really knew what he was doing. I think Leo just wanted to end it all and give his friends a chance as peace and happiness. He had always been an extra on the quest. He had no relationship. He didn't battle. He usually worked on the ship by himself. Alone. He was the outcast. So he fell the responsibility to destroy Gaia and not force his friends to whether the problems of someone lese doing it. Because, in all honesty, Leo has always been disposable. Riordan could have killed him at any time. He couldn't have done that with anyone else. But Leo was different. He could be killed. To kill any one else would have destroyed a relationship that Rick had worked so hard to construct; but Leo never had a relationship. Riordan always does things for a reason...and there was a reason why Leo never had a relationship until Calypso. Rick has always planned his death. As I knew it as soon as House of Hades was over. Leo was already dead. As to whether or not a only a Roman (Frank and Hazel) would have understood his sacrifice, I don't think so. I don't thin that anyone does or ever did understand the choice. But they are going to have to live with. And now the million dollar question: is Gaia gone forever?? Is she so scattered that she will never be able to form a living conscious. I sure hope so. Because I don't think any demigods would be able to defeat her a second time. Unfortunately, she is an immortal deity of the earth. So I'm not sure that she can be killed. Leo's dead. Nico felt it. No one found his body. He blew up Festus and was simultaneously hit with a giant imperial hold projectile. He could not survive. But he did. The final chapter of the book is written from his point of view as Festus injects the Physicians Cure into him. And coincidentally, where does he find himself. Write above Ogygia. Write above Calypso. I found this to be a little bit too neat of an ending to this series. I wished that Leo had died and stayed dead. And if Riordan really felt the need to bring him back from the dead, at least make it somewhat difficult for him to find Calypso. That would have been better. I felt that this was way too neatly done for a series that was full of sacrifice and struggle. This seemed way to easy. Like another cop out from Riordan. Plus, everyone else thinks he's dead. Shouldn't priority number one have been too alert the rest of the seven and the two camps that he is at least alive, rather than immediately go after Calypso. Isn't that minorly selfish. Jason and Piper are the next set to discuss. Jason claims that he will be going back and forth between the two camps; which means that he will be spending some significant time at Camp Jupiter. I'm sure Piper is not going to like that. Then again, she has developed a reasonably strong relationship with Reyna, and she stated the she no longer saw Reyna as a "threat", so she may be okay with it. As to the part at the end, I thought that it was good way to end the series. I would have liked if Riordan has just stopped there and not added the extra Leo chapter. 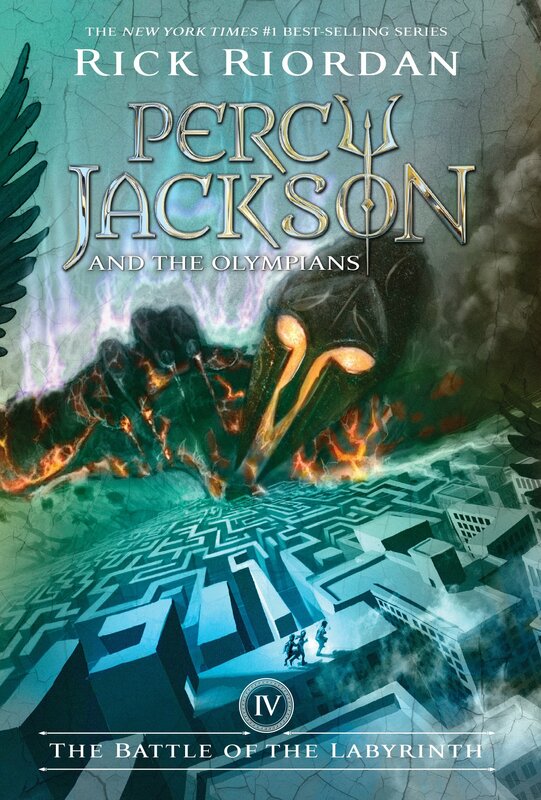 I think that chapter was a great ending, very similar to how Percy and Annabeth ended up at the end of The Last Olympian. Now Frank and Hazel. This couple is the oddest of the series. Mainly because they have ongoing issues that were never resolved in this series. Hazel still has the curse on her. The one that Pluto claimed would be washed away by a descendant of Poseidon. We always assumed that either Percy or Frank would end the curse in this book, but it never came up. I think that this is a pretty big hint at a new series. Riordan definitely would have tied down that plot line if this was the end. And as to Frank; his firewood is still in play. The firewood that caused so many problems for him throughout the series. I get why plot part was never really answered, because to do so would have meant Frank's death. But because it has yet to cause any real distress, I think that it will be brought up again in another series. And then Percy and Annabeth. The one we actually all wanted to see. Unfortunately, this is the one that actually gets fairly tied down. Percy and Annabeth claims the following: that they will spend their senior year together in New York, go to college in New Rome, and do whatever out there for some time. Of course, we know that they have some issues with the Kane siblings later that year, but I feel like the fact that Riordan gave them such a developed future means that he will not be revisiting them in later series. Or at least that's how it sounded to me. Then again, the life of a demigod is never easy. I know Percy and Annabeth have had more problems than most demigods, but I think that there still may be some dangers in store for them. I hope so, because no matter what characters Riordan invents or continues with, I will never be able to forget Percy and Annabeth sitting idly at Camp Jupiter. So what's up with Nico and Will. I can't figure these two out. Will seemed genuinely concerned for Nico when they were destroying the onagers together, but he barely did anything in the days immediately afterward. And to top it all off, he essentially sentences Nico to doctors arrest and no Underworld powers. I can't figure out what the relationship between these two is. I don't think they are going to get into romantic relationship, but I can't figure out what relationship they will or do have. I think Riordan was just trying to please a bunch of fan girls with this move, allowing them to hope for a romance for Nico. Yah, so about Nico's confession to Percy, I thought it too was both forced and underplayed. I have never felt any particular attraction to Nico, and have never exactly cared about his sexual orientation, but even I felt that this was a failed attempt by Riordan to address this topic. And I say "failed" because it was so underplayed by both Nico and Percy that it was ridiculous. Percy didn't say anything about it at all. Nico only said his feelings once an then never expounded on it. I thought it was kind of ridiculous and stupid. Much like the whole issue with Nico in the first place. Now we can talk about Reyna. I previously said I didn't think that Reyna's POV was super important, and I continue with that assessment even after three reads of the book. But we still have to discuss what Aphrodite told her in Charleston. I think that Aphrodite was simply implying that she was not destined to date Percy or Jason; that she was going to have search beyond the camps for someone to date. That's all. It wasn't anything super deep. But I think Piper's secondary conversation with Reyna was more important. The one about Reyna needing to take a break sometime. That is completely true. Reyna would run herself into the ground before she would take a break, mainly because she had been the only praetor for a decently long time. But now that Frank is a praetor, she has the option to at least take one. And I think she should. It probably be good for her. As to the Capture the Flag comment, I think Piper may have been doing some exaggerating there. But what we should be most surprised about is the second line...the one that no one could figure out. It actually meant Jason or Leo would die. Not Greece or Rome. Not that storm or fire would defeat Gaia (which also happened). But that either Jason or Leo would DIE!!! We had all been over thinking it since the beginning. We, the fandom, need to refrain from trying to interpret Riordan's prophecies, because we never know what they mean until they happen. With that, the greatest series in the history of existence has ended. But what happens now. I honestly think that another series is in the works. The problem of the Python at Delphi was never answered, and the power of the oracle has disappeared. That's a big problem. But also why there was no new prophecy given. Plus, Apollo is the god of the sun, and Ella revealed a line of prophecy pertaining to the sun: The fall of the sun the final verse. That could mean the fall of Apollo. And Will Solace is the sun of Apollo. And he began to play an important role in this book. For those reasons, I not only think that the Python at Delphi would make for a great new story, but has a decent probability of actually becoming one. And what happens in New Rome. The legion has been gone for almost a month and who knows what has happened to Camp Jupiter. Gaia could have gone ahead and destroyed it before she reached CHB. Or some other terrible monster could have destroyed it. But beyond what they are going to back at Camp Jupiter, what are they going to take away from this quest. Frank is now praetor, and that could get interesting. Plus, after all of the time spent at CHB, who knows what Greek attributes Camp Jupiter is going to take up. Maybe one-on-one fighting. Or some lighter rules. Maybe more fun time. And what will Jason's role be in all of this. He has spent considerable time at both camps; more so than anyone else; and he made a promise to build shrines/temples to all of the gods at both CHB and CJ. That a lot of work. And a lot of time going back and forth between the two camps. I think that Jason very well might become some sort of ambassador between the two camps. Working everything out and keeping both sides tied to their agreements. You know how I commented about a demigods life never being easy and how that may apply to Percy. Well...I'm going to say it again. A DEMIGOD'S LIFE IS NEVER EASY. Percy will have more battles on his hands. The only question will be when. And how long will we have to wait before we get to read it. But don't despair, it will happen. Percy will fight again. And we will read it. But what of Leo and Calypso? Where will they go? What will they do? When the others learn that Leo is alive? Those are the questions that we should all be asking. Because Riordan will almost certainly bring this up at some point. Leo is not just going to disappear into nothingness with Calypso. The others will learn of his existence. When...is the question though? And don't forget about Magnus Chase and the Gods of Asgard. There was a reference to it in this book, benath the Acropolis. Annabeth claimed that she had an uncle in Boston. And that's all we know about the relations between Magnus Chase and Annabeth. While not a lot of information, Rick will undoubtedly release other tiny hints leading up to the release of, The Sword of Summer, in October 2015.